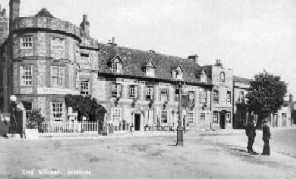 - Castle Square - (BS0250) Incl Fire Station on left - pre 1925. Roads in Benson were not tarmac'ed until mid-1920's. Grandfather and his brother Ernest were the last people to light the lamps in the village. - Castle Square from a 1915 postcard - (BS0309) A unique shot, but who can identify the motor bike? 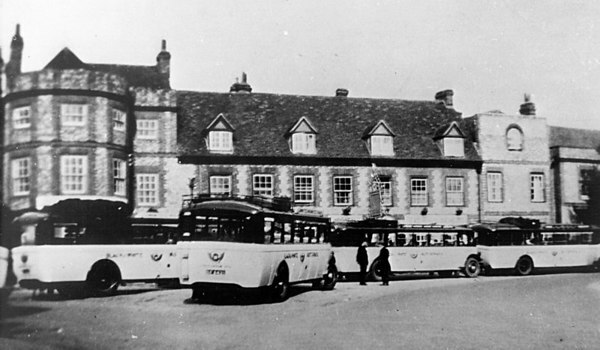 - White Hart - (BS0330) Taken from War Memorial before tarmac road. 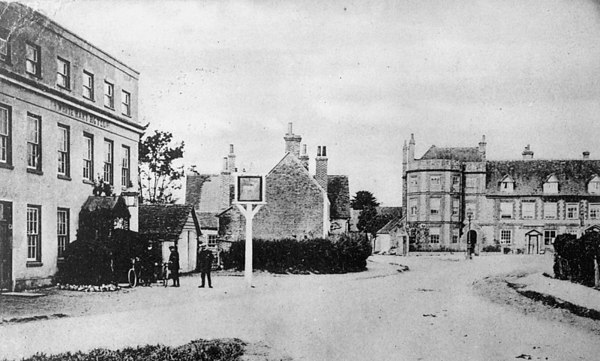 Castle Inn in the background. - Castle Square - prob. 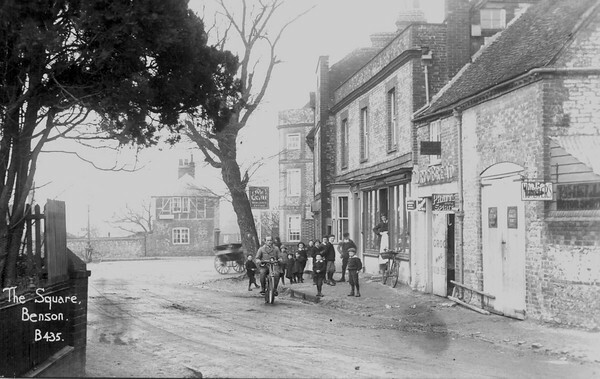 late 1920's or early 1930's - (BS0384) War Memorial unveiled in 1920. Would appear to be the start of the road surfacing – see tar barrels. 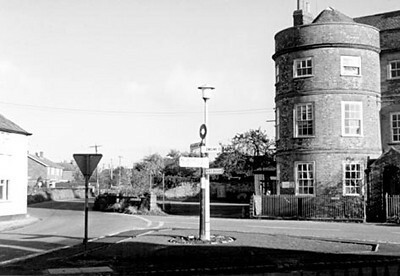 - The Round House in about the1970s - (BS0533) Note the old stables area, eventually replaced by a house of that name. 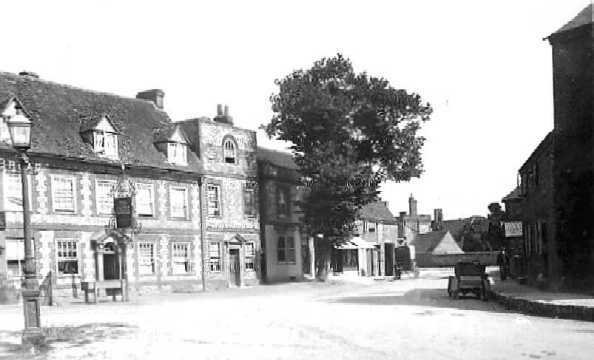 For years the site between the 2 road signs remained as a pile of rubble, and the Watlington Road was never straightened out in to the Castle Square. 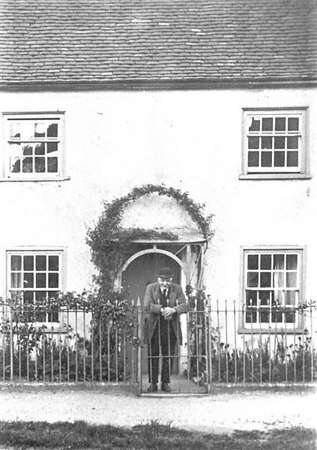 - Fairlight, Castle Square - (BS0341) Mr Thomas Pether leaning on the gate of his house formerly between The White Hart Hotel and the Castle Farmhouse and called Fairlight. 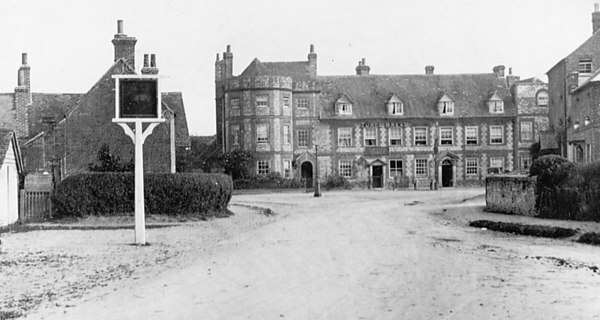 To his right and between his property and the Hotel was a wooden shed used as both the location of the old fire engine (see BS0052) and a morgue. All three buildings are clearly shown on BS0330. 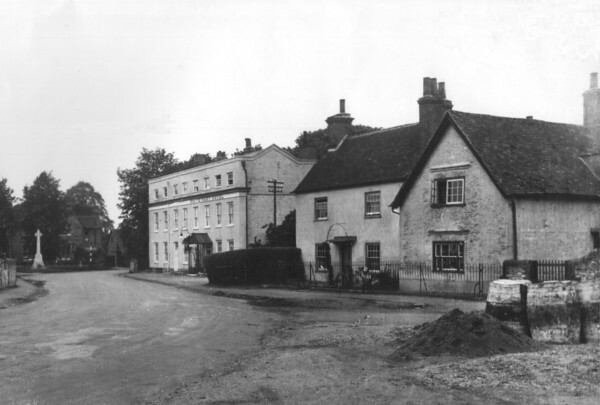 Mr Pether's son was George Pether who later became the Landlord of the "Three Horseshoes" pub between 1937 and 1952 - see "Benson A Century of Change", page 211. 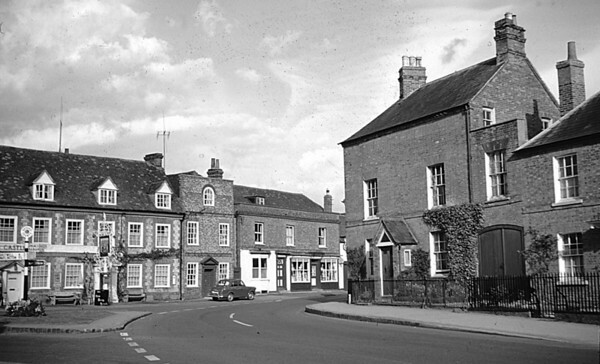 - Castle Square c1960 - (BS0589) The "Lane" house (right) in Castle Square.